Yesterday, Christmas Day, I had some time to process a few photos, while my son spent some time with his Mom. It seemed a good thing to do on a day of relaxation….doing something that really relaxes me. On Labor Day weekend in September 2006, my friend, Rene, and I flew out to CA for 10 days to work on my friends, Paul and Barb’s, place in Redway, in northern CA, near the Lost Coast and Avenue of the Giants. I’ve mentioned these places before in previous blogs but these are photos I haven’t uploaded yet. 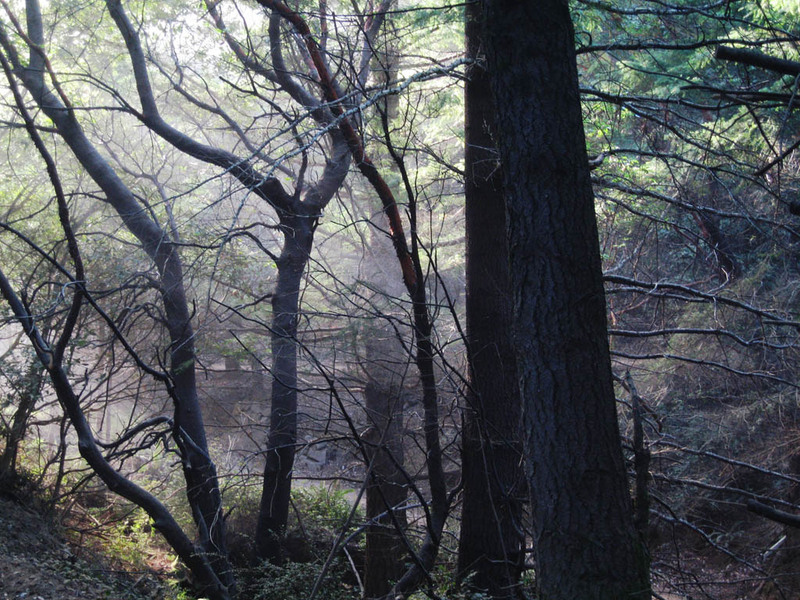 The photo above was taken a few feet from their front door at their place next to the Eel River, called Giant’s Rest. 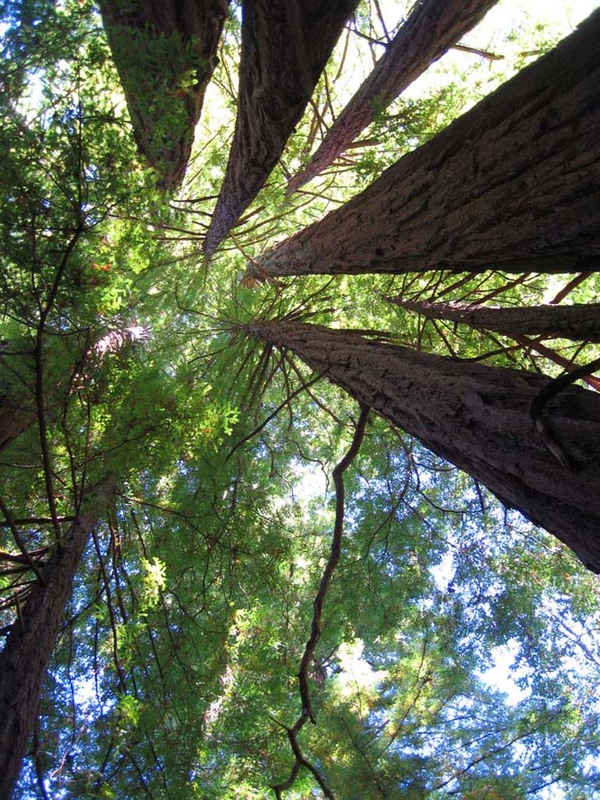 These trees are redwoods and rise up into the sky as far as one can see. In 2006, a friend requested that I redesign his garden area behind his house in Redway, CA. So, I went out there for 2 weeks in September to find he had bought a “weekender” in one of the most beautiful places on the planet. Had I not taken my friend, Rene< with me, I doubt I would have done anything but wander around in the forest of some of the oldest trees on the planet and spend my days otherwise lazing about on the shores of Black Sand Beach to the west. Redway is 2 miles west of Garberville, which is in famous Humboldt County, in northern California. Unknown to many (very many), this area is nothing short of Heaven. Just north of Garberville, on the highway to Eureka, is the beginning of the Avenue of the Giants, which is famous, as well. On the Avenue, you can drive through that famous redwood tree and you can see where the gnomes and trolls live in another, and so on. Tourist attractions. But I didn’t go for tourist attractions, I went out there to………..discover what I have been missing all of my life and only heard about from vintage postcards of cars driving through trees, which, as a child, was pretty damn cool!